Want to conduct a mock test? do it with OMR Home, using 200 questions OMR sheet. Download it that too for free. Feasible for tutors and teachers of varied educational institutions, OMR sheet can be provided to the students to test their knowledge on a given subject. You can avail different types of pattern for your OMR sheet with the designing features that Verificare OMR software has in stored for you. This 200 question OMR sheet available on the site of OMR Home is specially designed for large scale tests having a total question limit of 200 questions. 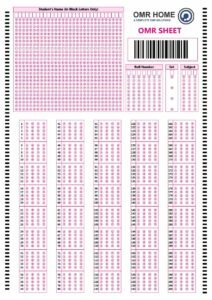 Convenient to use, the question sheet is divided into 6 rows with 30 questions in each row. Every row has 5 sets and 4 options to choose from, named A,B,C,D.